With VideoSearchXL you can run your own multi source video search engine website within minutes. Let your visitors search for videos from the 3 most popular video websites YouTube, Daily motion and Vimeo at once. 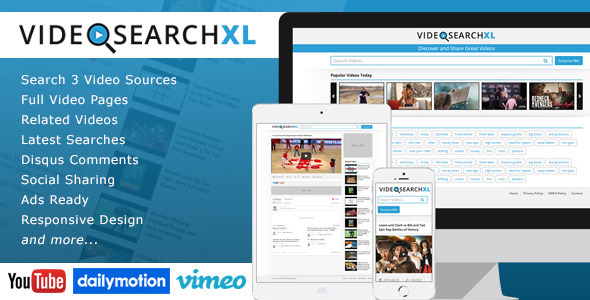 0 Response to "VideoSearchXL v1.2 - Multi Source Video Search Engine - Codecanyon"